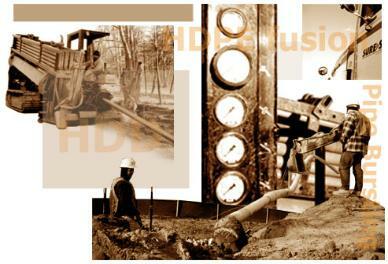 of the conflicting utilities they can be safely avoided by steering the drilling head. tracked using a walkover radio wave location device. deemed necessary by the HDD crew. pulling head will simply be cut off. pipe occupies its space. This fluid will be gathered in a receiving pit and collected with a vacuum system. After the installation of the product pipe, the remaining drill fluid will set up around the pipe acting as a grout. challenges. Please feel free to contact me. I am always available to discuss your project needs.